September 1984: my 11th birthday, back-to-school, the first sightings of the 1985 Annuals and a resolution to the conundrum of the summer: "whatever happened to SCREAM?" 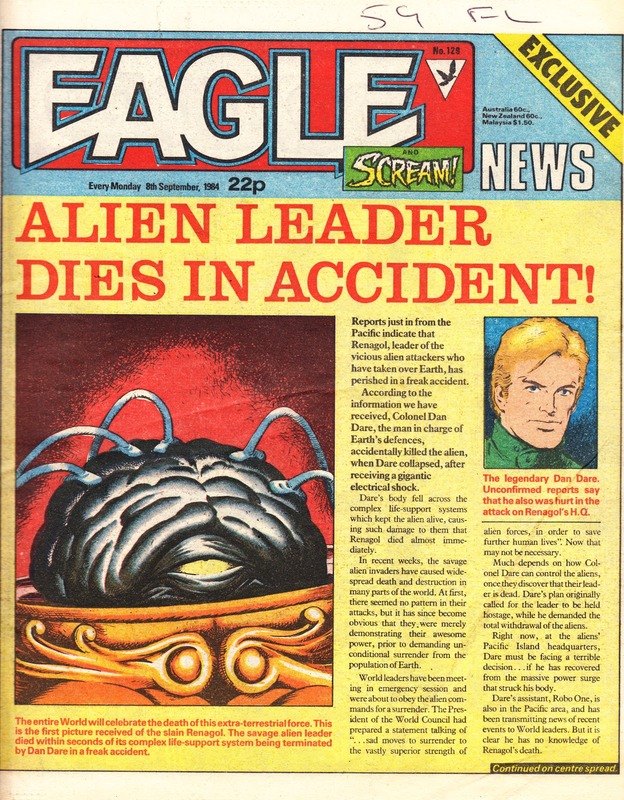 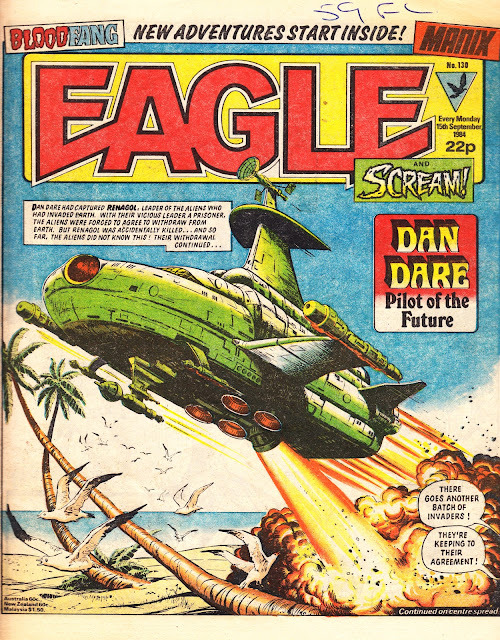 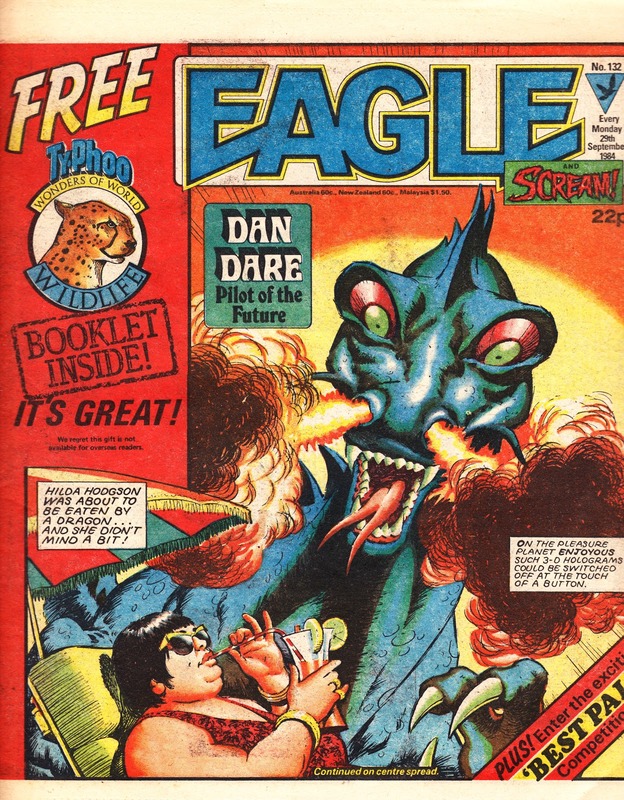 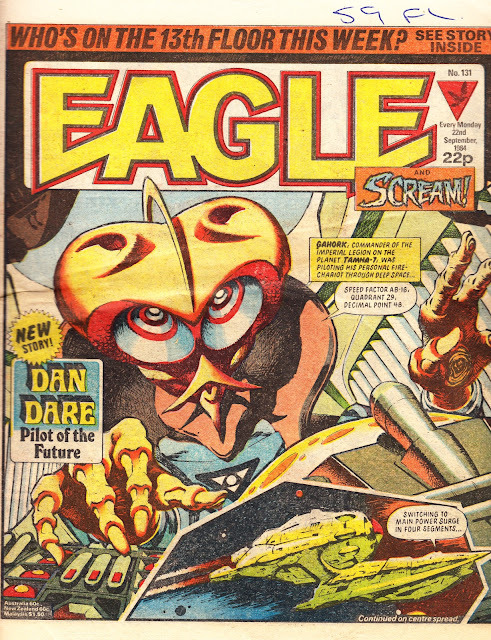 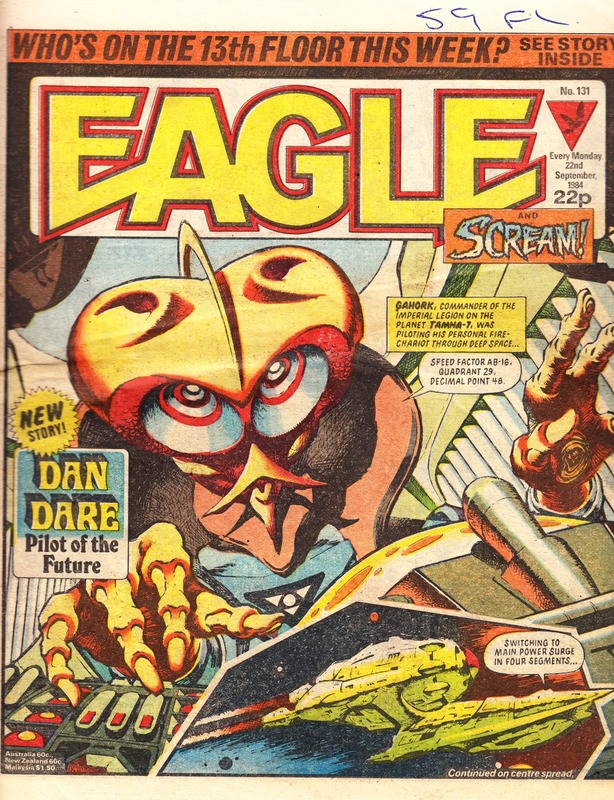 After vanishing, after 15 issues, at the end of June the mystery was finally solved: the scare-fare horror weekly had been quietly cancelled and belatedly merged (with, frankly, little fanfare) with EAGLE. 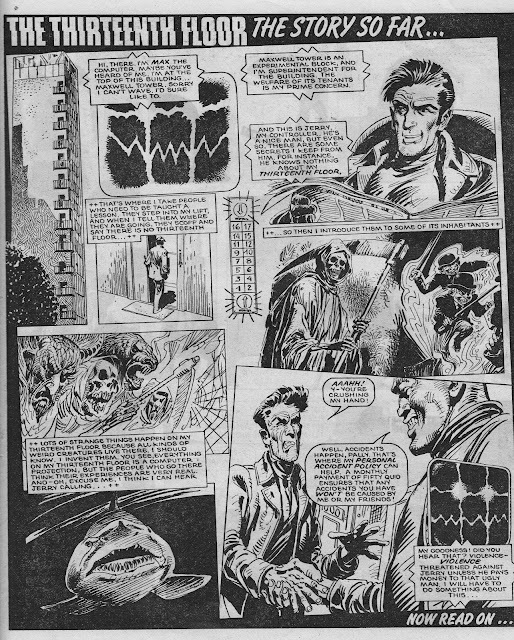 Two strips, The Monster and The Thirteenth Floor, continued herein whilst the others were all quietly buried. Both of the survivors began their second life with one-page story-so-far recaps, both of which I've posted below. The Thirteenth Floor became an Eagle mainstay, thriving in its new home long after Scream! 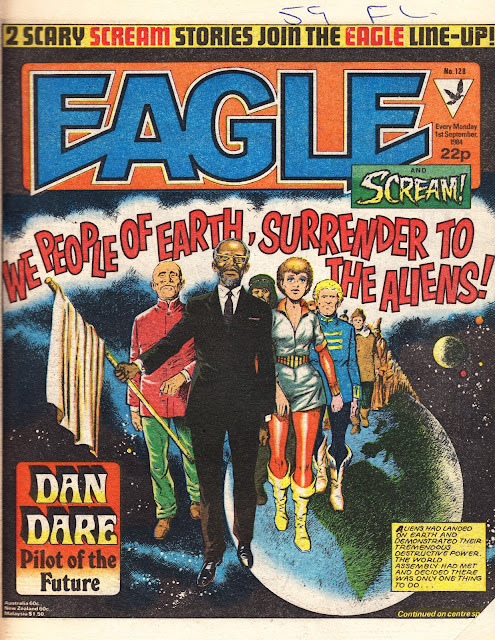 had vanished from the masthead. 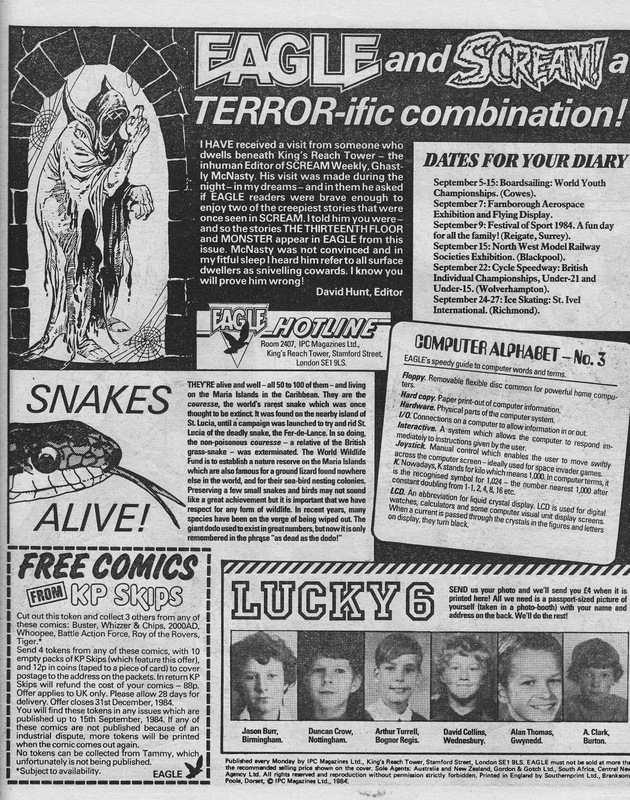 Its star, the computer Max, started moonlighting as the weekly's first fictional editor following the tie-up with TIGER in '85. 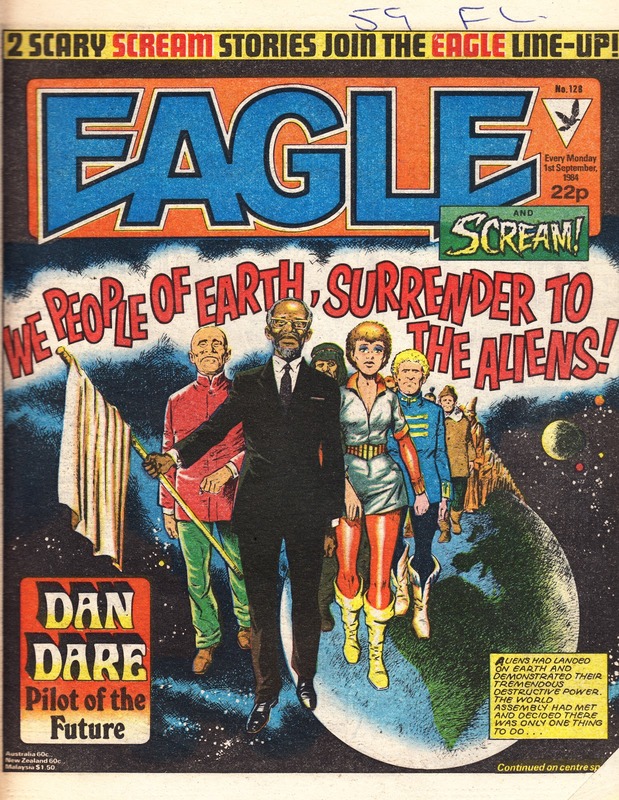 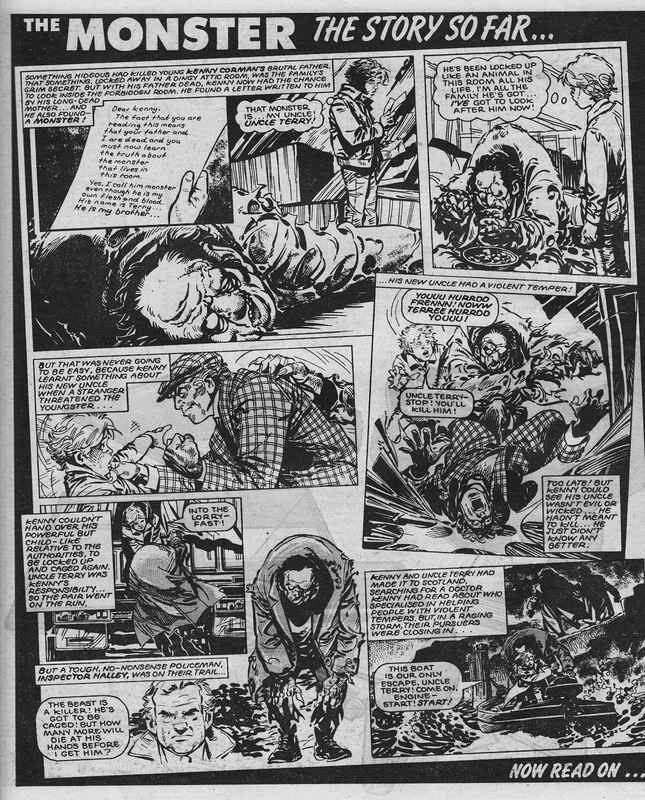 The strip survived, albeit as reprints, well into Eagle's final monthly incarnation and also took centre-stage in the short-lived BEST OF EAGLE MONTHLY.